The euro resumes its decline. Late last week, the market has formed a series of jumps from the correctional level of 50%. The lower cluster of Fibo levels around 1.0640 still remains relevant. The hourly chart shows that in addition to the release from the ground level of 50%, a number of local Fibo levels also showed resistance to the correction. On the local correction I plan to open an additional short. 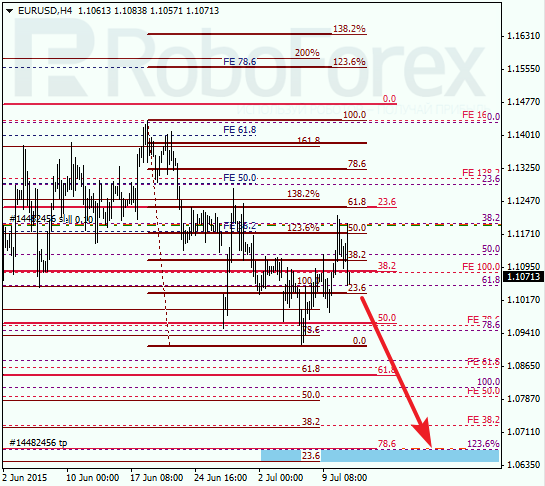 The intermediate target serves as a cluster of levels near 1.0790. The pair supposedly completed an upward correction. 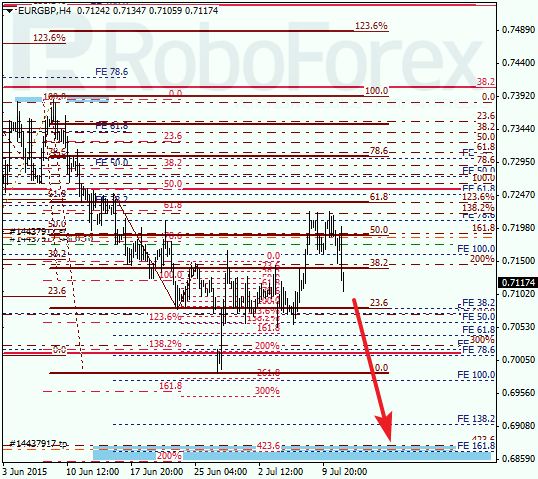 The aim for the near future is at congestion of Fibo levels at the mark of 0.6870. Earlier, on the probable end of the local correction I entered into a deal to sell. On the hourly chart the price has formed a retreat from the local cluster of Fibo levels. It is possible that the pair will soon be able to break through the minimum of last week. 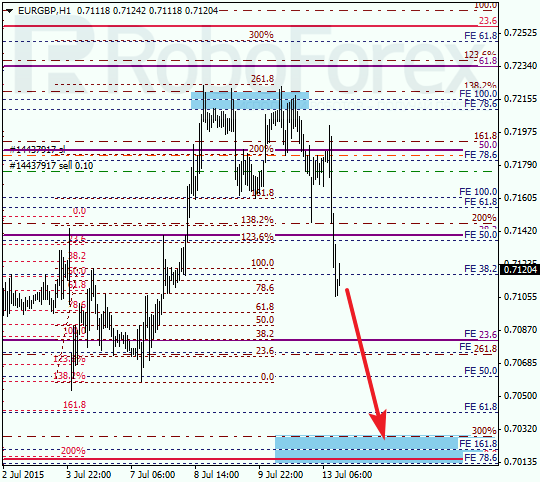 The intermediate target price stands near the 0.7020 area, formed by several Fibo levels.